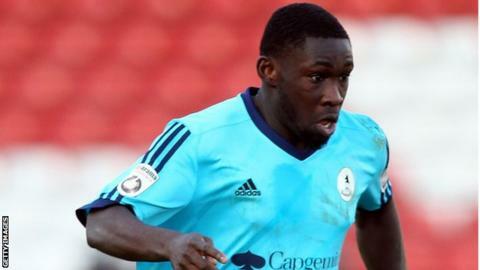 AFC Telford have successfully appealed against Godfrey Poku's five-game suspension, given after his red card in the 3-2 loss to Dartford on Saturday. Poku, who was sent off twice in his first four games for the club earlier this term, was dismissed when he was judged to have elbowed an opponent. But a Football Association Regulatory Commission panel ruled the 24-year-old had been wrongfully dismissed. Midfielder Poku is now available for Saturday's game at Forest Green Rovers.